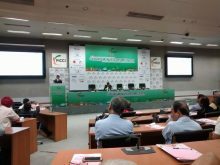 In a bid to attract investors across the industry, a number of state tourism boards presented their ideas and prospect on tourism in their respective states during the 4th Tourism Investors Meet held at FICCI, Federation House, New Delhi. The tourism boards of West Bengal, Rajasthan, Gujarat and Manipur gave detailed presentations on how their state provides lucrative opportunities to investors. Each presentation counted on their USP and explained about the incentives and concessions provided by the respective state governments. The first presentation was given by the meet’s Theme State West Bengal Tourism which stressed on developing the state as an ‘ecotourism hub’. This was followed by a presentation by Partner State Rajasthan Tourism which focused on promoting heritage location and properties in the state. It also talked about opportunity of growth for adventure sports and MiCE in the state. Feature State Gujarat Tourism stressed on providing attractive incentives to investors with last mile connectivity for travellers in the state. The final presentation was given by Feature State Manipur Tourism. Highlighting the state’s rich culture and resources, the presentation talked about the prospect of developing Manipur as a ‘tourism hub’. The main focus was on Loktak lake, the largest fresh water lake in the Northeast.